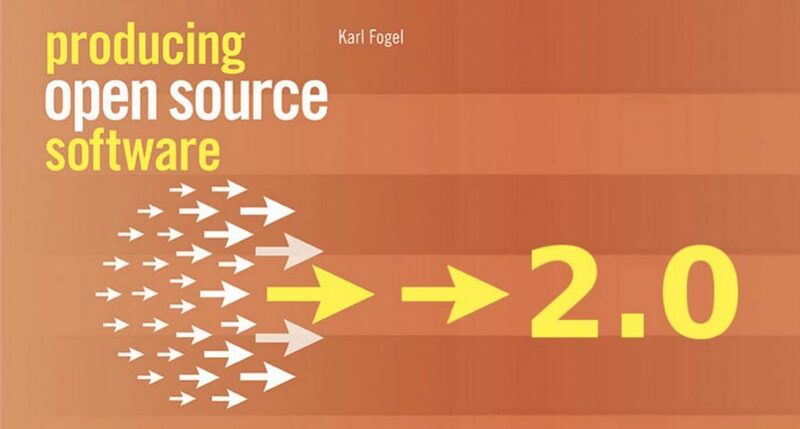 The second edition of Karl Fogel‘s “Producing Open Source Software: How to Run a Successful Free Software Project” is now available for download. Fogel, a partner at Open Tech Strategies and OSS contributor since 1997, was a founding developer in the Subversion project. He has worked for more than a decade as an open source specialist, helping businesses and organizations evaluate, launch, and manage open source projects. Producing Open Source Software version 2 was released for free this week under the Attribution-ShareAlike 4.0 International license. The first edition was published in 2005 but the landscape of OSS has changed drastically over the past 12 years. In 2013, Fogel successfully raised $15,376 towards his $10,000 Kickstarter goal to fund the revision. The book includes topics like ‘Free’ Versus ‘Open Source,’ choosing a license, version control, social and political infrastructure, the economics of open source, culture, and communication. It was written for managers and software developers but can also be informative for newcomers to open source projects. Fogel originally planned on finishing the second edition by the end of 2013 but experienced delays due to starting his company. Some chapters also took longer to revise than he anticipated. “In retrospect, if I had understood what the pressures of a young and growing company would be, I would not have started the 2nd edition when I did,” Fogel said. “It has been a lesson.” Fortunately, for the 314 Kickstarter backers who might have been waiting on his work for four years, progress was immediately available in the public repository for the book. Fogel didn’t keep any private version of the book elsewhere. He also found the third chapter on technical infrastructure to be more time consuming than the others due to all of the changes in the past decade. It took roughly four and a half months to revise it to include modern development tools. One of the central focuses of the book is the value of collaboration and the direct benefits it provides to an open source software project.